#tdc2134 What Other Video Game Didn’t Exist? Do you know the urban legend of Polybius? It’s not some greek hero fighting alongside Odysseus. It’s a video game … that never existed. Except in pop culture. Like in the background of The Simpsons. The urban legend is that the game was part of a government-run crowdsourced psychology experiment, with gameplay producing intense psychoactive and addictive effects in the player. These few publicly staged arcade machines were said to have been visited periodically by men in black for the purpose of data-mining the machines and analyzing these effects. 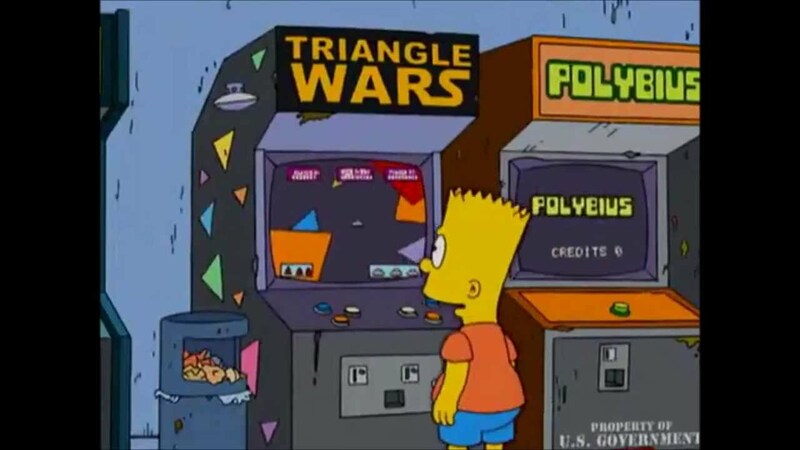 Finally, all of these Polybius arcade machines allegedly disappeared from the arcade market. What other video games never existed? Come up with a name for the game. Maybe a backstory. Instructions on how to play? Sure. A graphic would be cool.